After going 2-0 down in the first half, Manchester United came from behind to secure an impressive 3-2 win over their arch-rivals at the Etihad. Vincent Kompany and Ilkay Gundogan put City into a commanding position but two goals in two minutes from Pogba put United back on level terms shortly after the break. To complete the stunning turnaround for Jose Mourinho’s side, defender Chris Smalling added a third for the visitors 21 minutes from time. And a stunning save from De Gea in the final moments ensured United left with all three points and delayed City’s title celebrations. Leroy Sane delivered a pin-point cross into the box two minutes from time which found the head of City superstar Sergio Aguero. However, De Gea pushed the ball over the bar to deny the hosts an equaliser. And hero Pogba had something to say about De Gea at the final whistle. In the midst of the celebrations on the pitch, Pogba walked over to De Gea shouting “numero uno” before embracing the Spaniard. 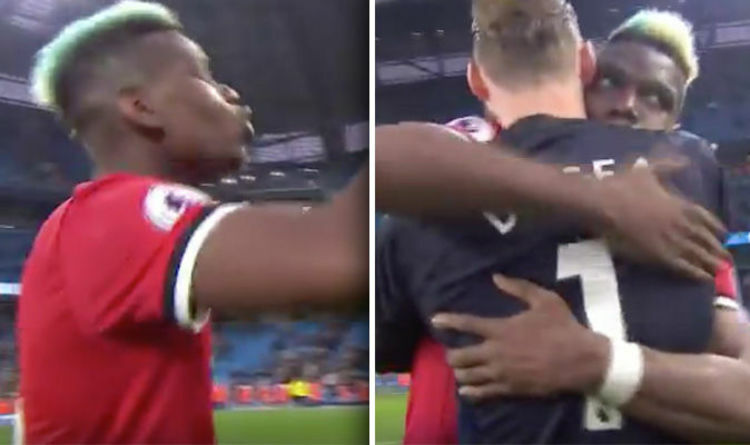 After the game, Pogba revealed why he didn’t want to lose to City today. “If they won they are champions, for all the fans it would be like death,” he said.